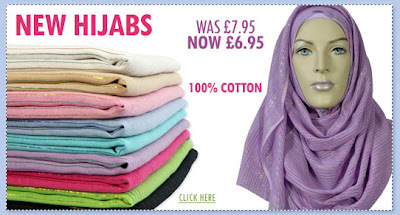 I love the selections at the Hijab shop. Unfortunately they are based in the UK. I was wondering if you would mind posting on long jacket type things- not coats exactly but long, fitted, cotton that can be worn with trousers..I have been trying to find something like this for aaaaaggggeeeessss. They ship to the US I think. I know they ship here, but the prince of a scarf with shipping will be like over $20, which I think is a lot for the quantity I plan to buy. I might be visiting London soon (summer or so). Maybe then I can get me some. I didn't realise it would be that expensive! Omg you're coming to London? We HAVE to meet up!!! I've been planning a trip forever, but it's simply hasn't gone through. I am planning to stay iMuslim, I will definitely let you know if the plans are still on.